Bass Makes The Girls Scream 'OMG'! Home / Automotive / Cars / Bass Makes The Girls Scream 'OMG'! 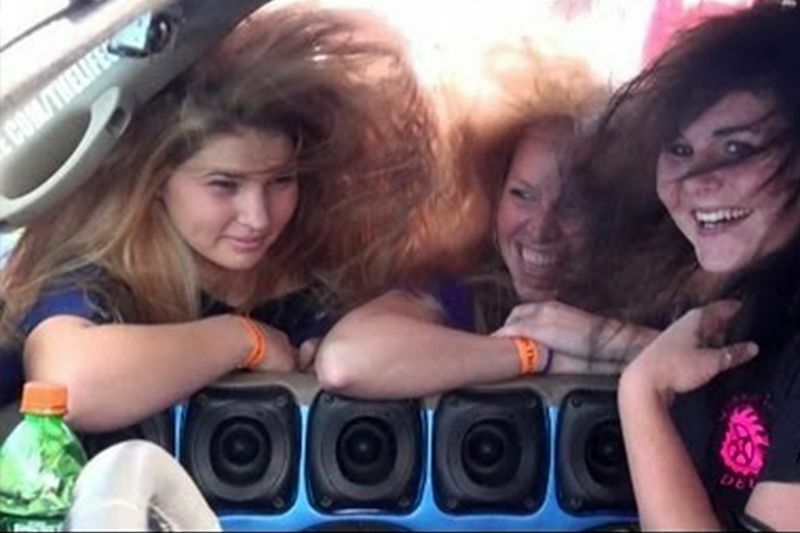 This van has so much bass it makes the girls scream. If your ride just doesn't cut it at racing or performance, no worries! All you need to do is fit way too many speakers in the trunk, and you'll have the ladies coming in no time... coming over, I mean, to check out what junk you have in your trunk... you get the idea. In this flick from Triple-X Motorsports, we get a little demo of how much bump the Tahoe really has when a couple of bystanders join in on the action. The throwback has several ladies volunteering their ears and hairdos for a couple of hair tricks as the system pushes more air than you’ll believe! Check out the clip from Turkey Drag out in Texas in the video below and tell us what you think of this system! You might have some bump in your trunk, but this is some next level stuff. Taking Grandma For A Quick Hit In A Race Car, Reaction Is Priceless! Mini engines that'll blow your mind! Maria 'EVO GIRL' Loves Her Ride In A 1200hp Supra! Speed Dating Prank In A 2015 Ford Mustang! Babe Can DRIVE! If She Doesn't React To Car Parts Like This, She's Not The One! World's Greatest Drag Race – Volume 8!